Get yourself or a friend "Spring in a bucket". 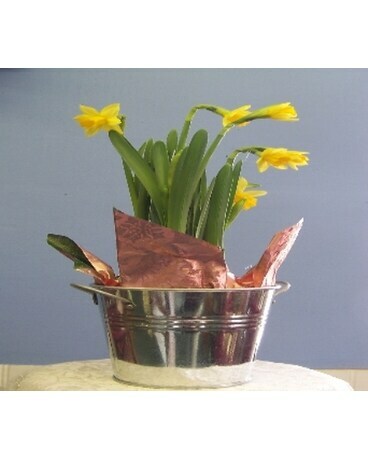 Consists of a 4 inch bulb plant (mini daffodil, tulip or hyacinth) in a 4 inch tin bucket, so you can have a little bit of spring inside. Shown here is a mini daffodil but we will use one of the 3 spring plants listed. Upgrades are larger plant and bucket.